Yet another article on how knitting can benefit your health. This one recaps CNN’s “This is Your Brain” episode about the cognitive benefits of crafting in alleviating depression, stress, and anxiety. Here’s a recap of the recap on the Huffington Post UK. It’s like “Six Degrees of Kevin Bacon” but with links about knitting. Apparently, the Washington Post has discovered knitting. Here’s an interesting article about a program to teach prisoners how to knit as part of their “resocialization” process. The photo gallery is worth a look; they sure look like they’re having a lot of fun. On a personal note, it’s Mother’s Day here in the United States, the day we celebrate all the mothers in our lives and thank them for all that they’ve done for us. My own mother passed away from breast cancer in the spring of 1997. Not a day goes by that I’m not reminded of her and I think about all the time she was robbed of by dying at such a relatively young age. I especially feel her absence now that she has grandchildren and I know they would have brought her so much happiness, happiness she richly deserved. 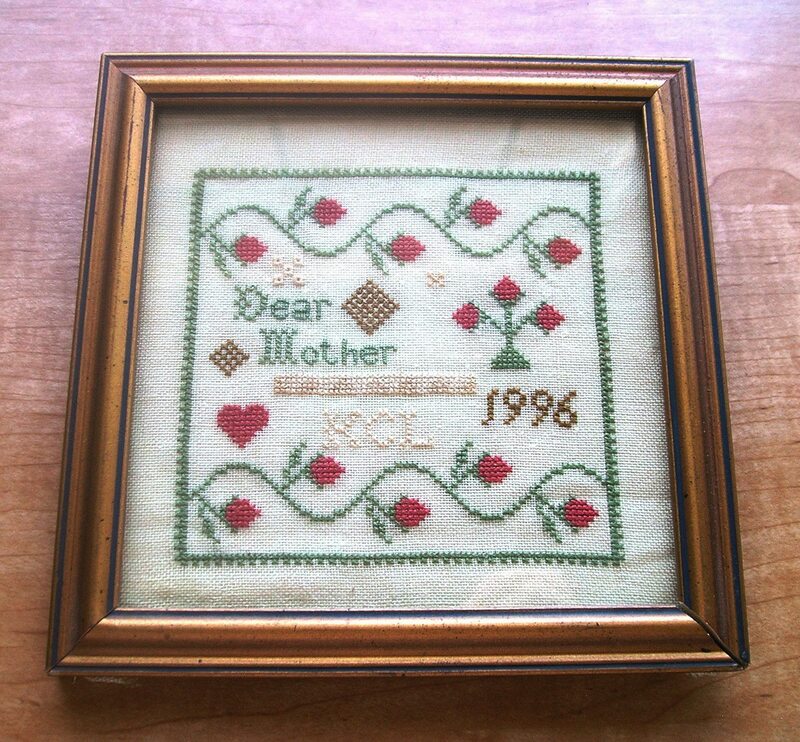 To honor her here, I’ve posted the photo of the last Mother’s Day gift I ever gave my mother, a stitched design is called “Mother’s Day” by (the now sadly defunct) Ewe and Eye and Friends. Pardon the shadows, bad lighting and photography issues — my mother passed along many talents to me, but unfortunately photography was not one of them. GIVEAWAY: Since this beautiful design is no longer in print, it’s very hard to find, but I am offering my used pattern in good condition (not the actual stitched version, obviously) to anyone who wants it. It would make a great gift for your mother too. Leave me a comment below to let me know you’re interested. 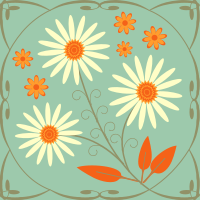 Thanks for reading my blog, and please take some time out today to thank the mother(s) in your life! Next Post Hurrah! A Big Finish!